The Online Journal of Bass Research (OJBR) is a refereed electronic journal, published by the International Society of Bassists. The OJBR is published solely in an electronic format, accessible free of charge. Volume 9 of the OJBR presents Koussevitzky's Double Bass Repertoire: A Reassessment by Andrew Kohn. Dr. Kohn's comprehensive, detailed, well-documented, and clearly organized research presents an overview and examination of Serge Koussevitzky's double bass repertoire. The study includes works that Koussevitzky composed, works composed by Glière, extant solo bass music, extant chamber music, and transcriptions. The article also surveys compositions that were composed for, but remained unperformed by Koussevitzky. 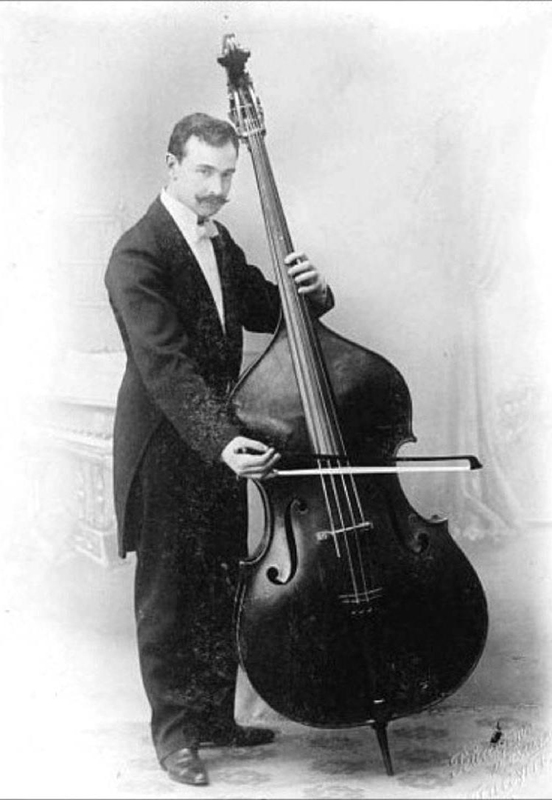 Much has been written about Koussevitzky's life and career as a conductor, a commissioner of new music, and as a double bass soloist, but not as much scholarship has been published about the repertoire, the actual double bass compositions, that Koussevitzky performed (or may have intended to perform) and the circumstances under which the compositions became part of his repertoire. A significant number of the discussed titles in Koussevitzky's repertoire will be familiar to most performers of classical double bass, but this article offers new and interesting information. For the works that are unfamiliar, this article provides a tangible connection to Koussevitzky, which allows for a gateway to scholarly exploration of otherwise unfamiliar compositions. This article is different from other articles that have been published to date in OJBR, because this article is an "invited" article. On rare occasions, in order to expedite the publication of outstanding research from recognized scholars, an editor of a scholarly journal can invite an author to contribute an article to the journal. The author, Dr. Andrew Kohn, enjoys a distinguished performance career and is regarded in the double bass community as one of the leading scholars of the double bass. He is on the faculty of the School of Music at West Virginia University and is a member of the bass section of the Pittsburgh Opera Orchestra and Ballet Theater Orchestras. He holds his Ph.D. from the University of Pittsburgh and received the AD in double bass from the Peabody Conservatory. Call for Papers: The OJBR is soliciting original manuscripts from scholars and practitioners. Please view the Submission Guidelines for more information.